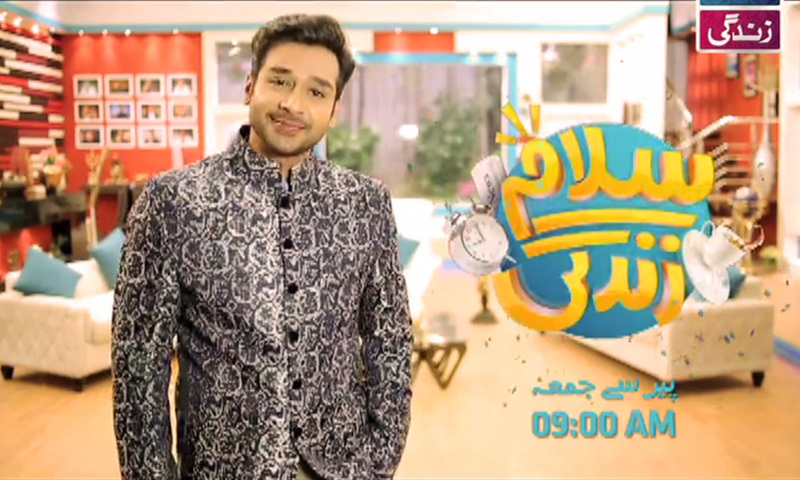 Faysal Quraishi has maintained his versatile acting in every genre and now he is all set for his appearance as a host of the morning show Salam Zindagi launched on ARY Zindagi. The show will be aired on 14th March from Monday to Friday at 9:00 am. According to the sources, this is Faysal Quraishi’s second morning show. His first hosting appearance on the morning show was in Muskurati Mornings. The talented actor, while talking about his appearance on the morning show revealed that he intends to develop a new image as compared to what is shown these days. The actor aims to put a smile on people’s face through his morning show. Defining the challenges of hosting a morning show, Faysal said that he is about to represent a newly launched channel ARY Zindagi. This channel is a new space for people to know, so he has a big responsibility of portraying this channel with all its features and followings. On the other hand, the actor said that he will be doing the morning show, almost after three years, so it’s the second big challenge for him but the actor is looking forward to starting the show with a great beginning. Faysal wants to wake people up with a smile, as people go to bed listening to the disheartening and depressing news. Through this morning show, Faysal intends to turn the negativity into positivity, by giving people a chance to lead a fresh day.